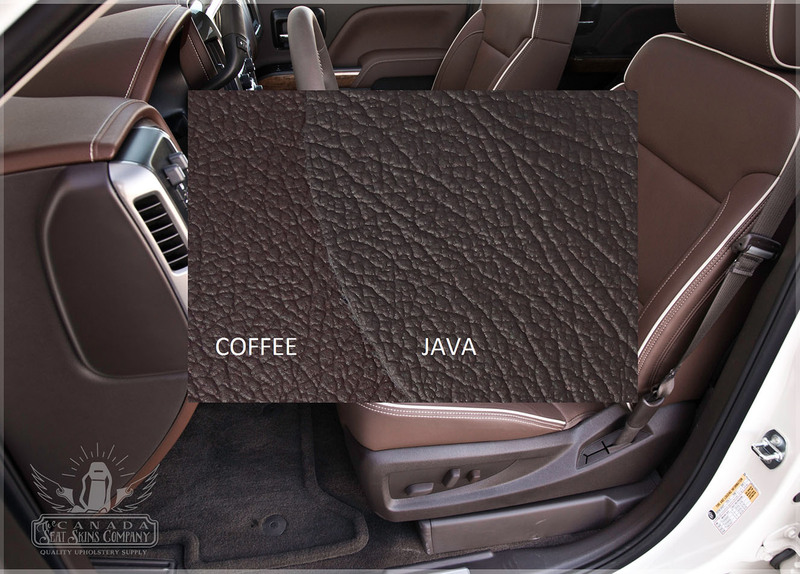 Selecting the amount of leather vs color and texture matched vinyl (faux leather) you would like in your interior. 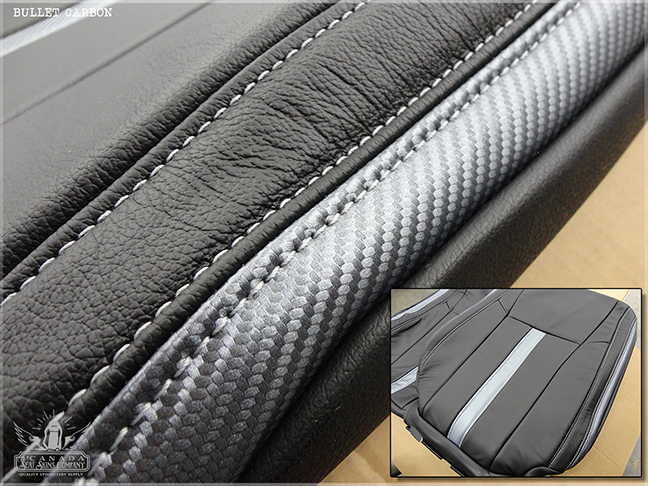 Limited Edition logos are applied in Black Chrome. 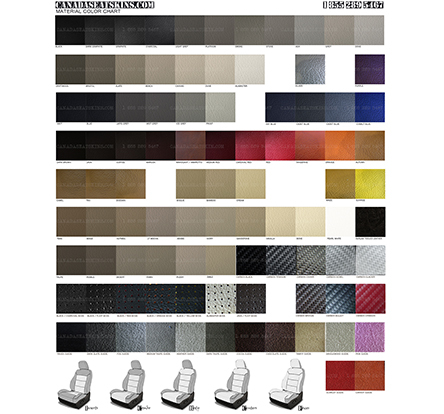 Please call for other colors. 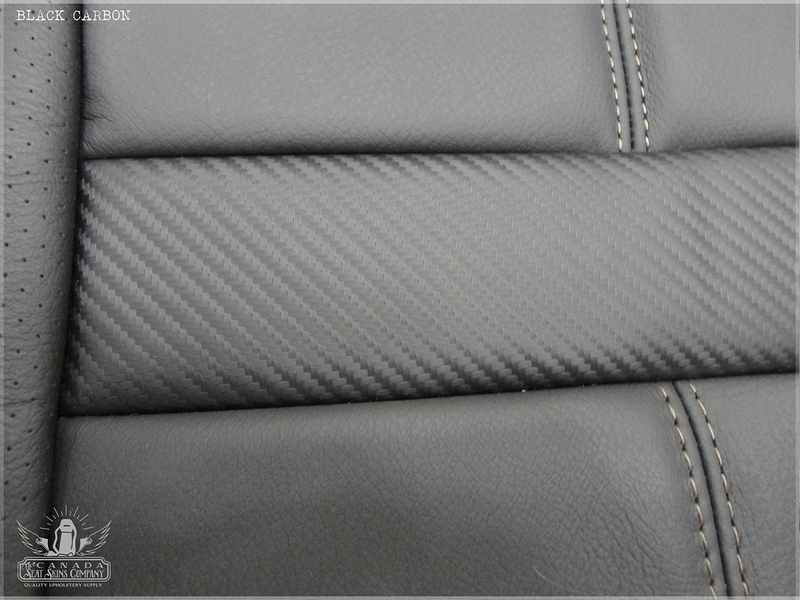 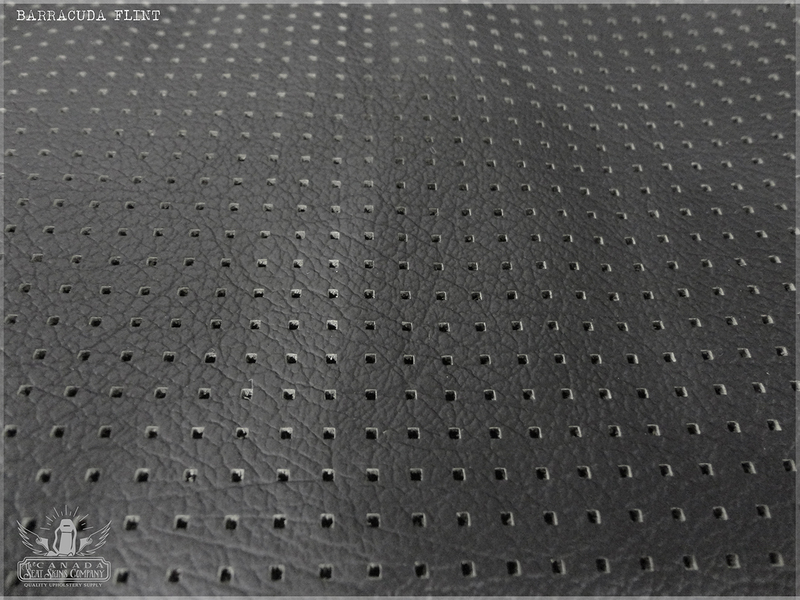 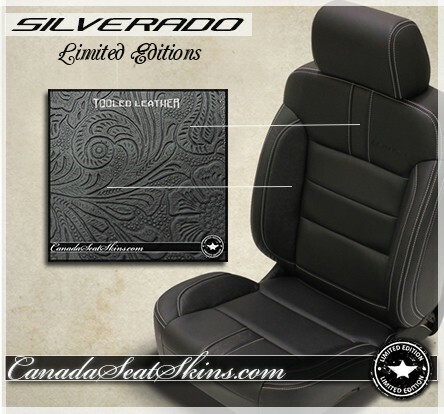 This new Limited Edition leather upholstery pattern for the 2014 - 2018 Chevrolet Silverado features a unique design with additional seaming detail and several exciting new two tone options. 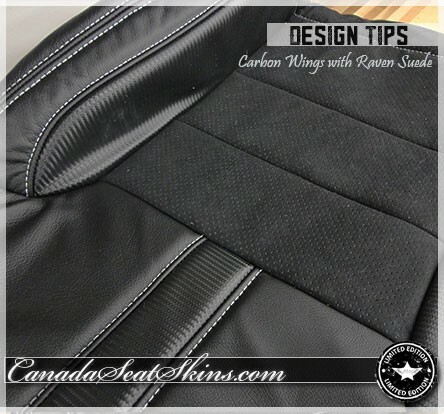 This package includes everything needed to completely replace your bland factory cloth or worn factory leather and can be fully customized to suit your style and budget. 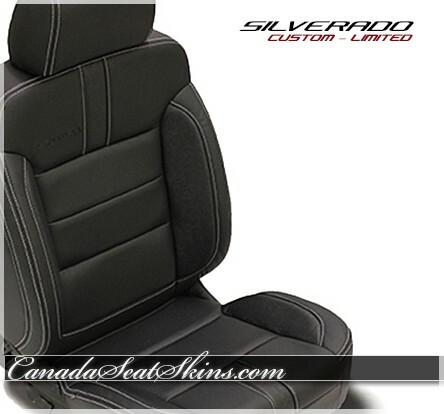 Silverado and Sierra factory upholstery is fastened in place using a combination of velcro, snap clips and zippers for fast and easy installation. 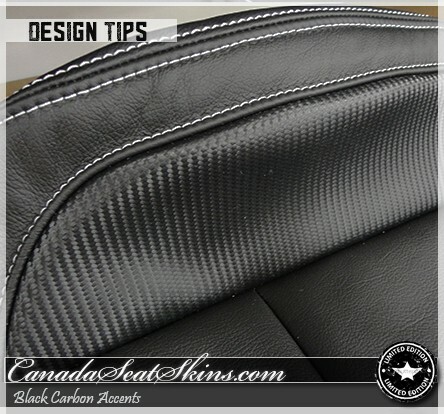 No special tools, hog rings or previous upholstery experience is required. 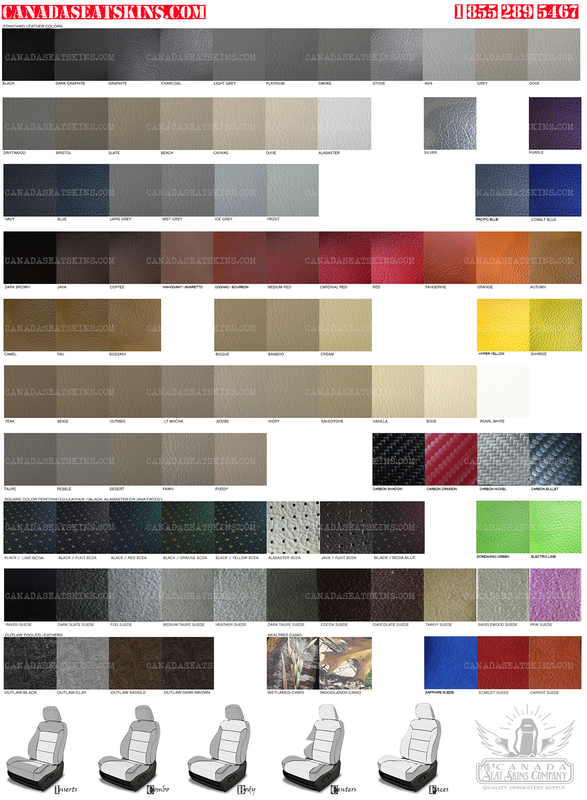 These are our most popular DIY patterns. 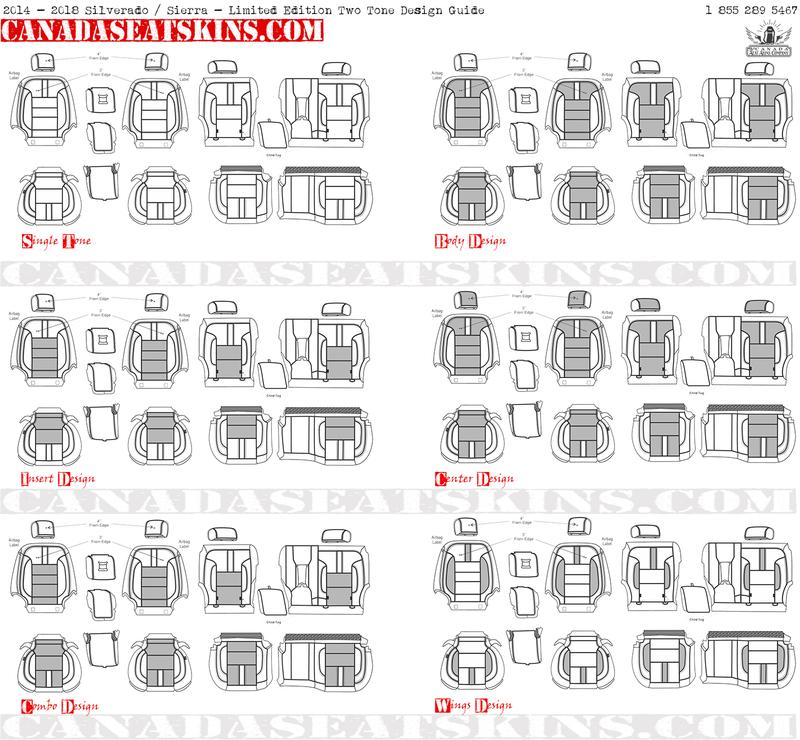 Detailed pattern schematics, color charts and design guides are available within the "colors and diagrams" tab below. 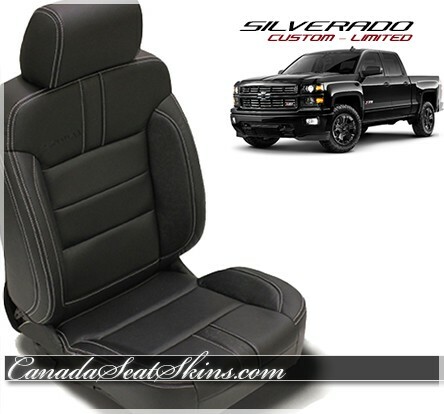 2014 - 2018 Chevrolet Silverado limited edition leather interior packages are available in 3 trim levels to suit any budget. 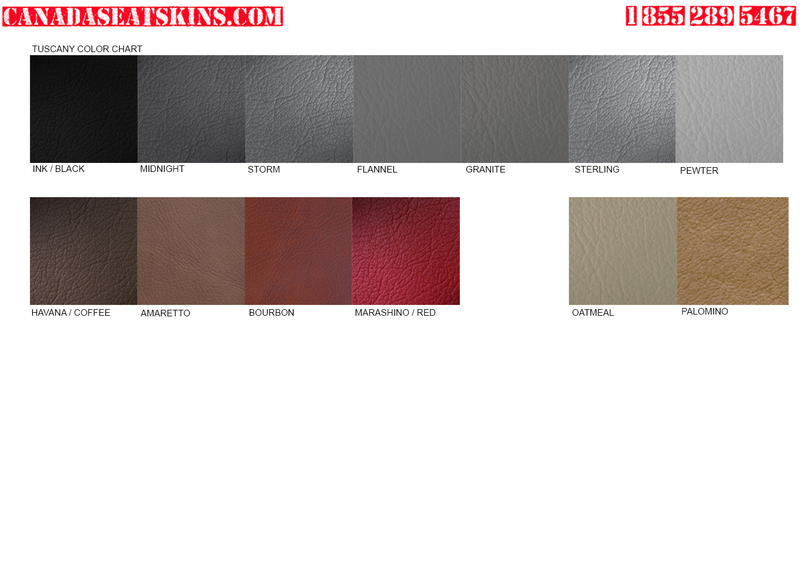 This package is available in single tone and 6 unique two tone designs. Select your model year to begin your order.. 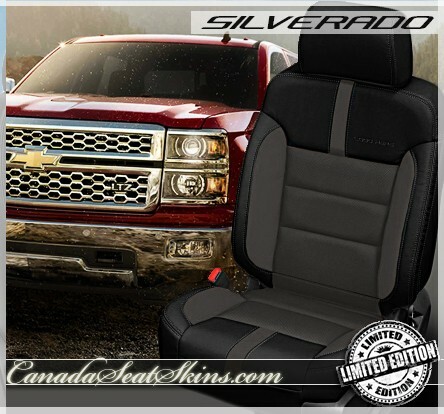 This listing covers new body style model Silverado and Sierra Crew Cab and Regular Cab models from 2014 - 2018 only. 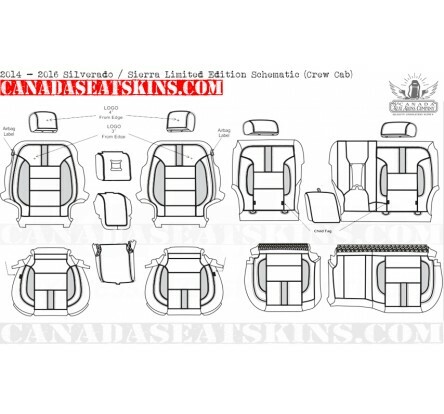 A center arm rest cover is not provided (or available) for models with individual front bucket seats (5 Passenger Model) so plan your design accordingly. 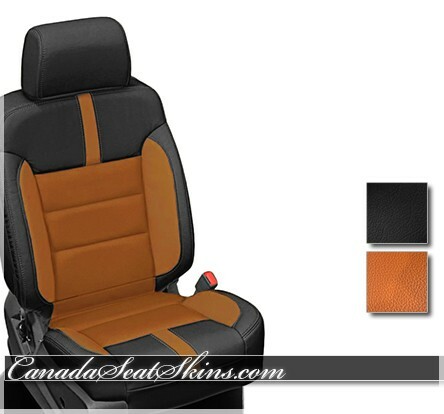 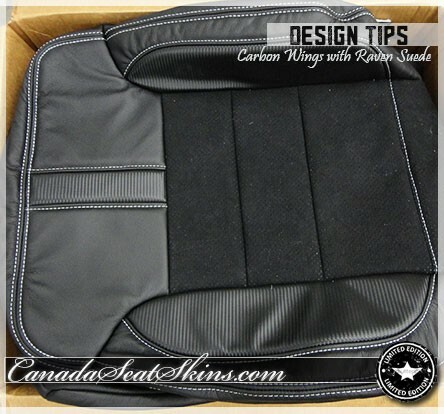 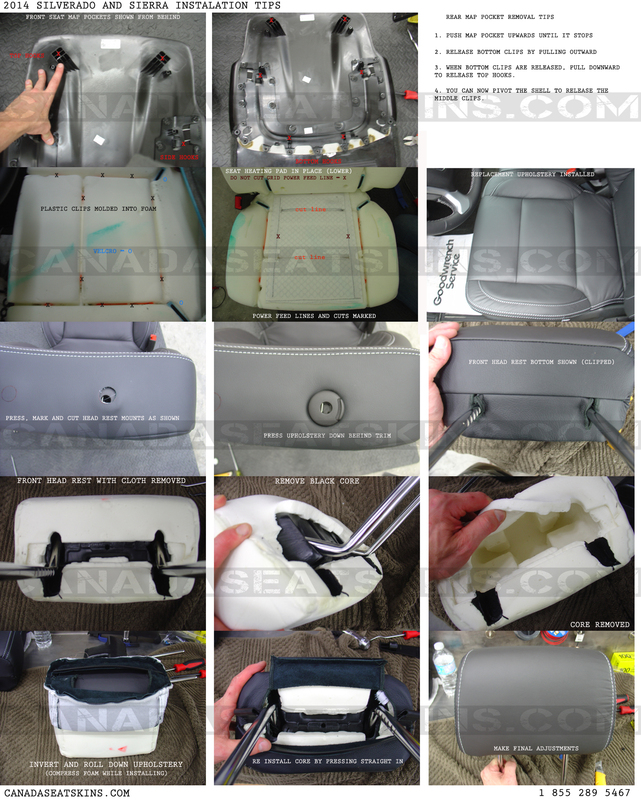 Customers with factory cooled seats will need to call in to order as your interior package needs special reticulated backing foam to keep the efficiency of the cooling system. 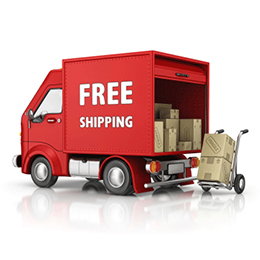 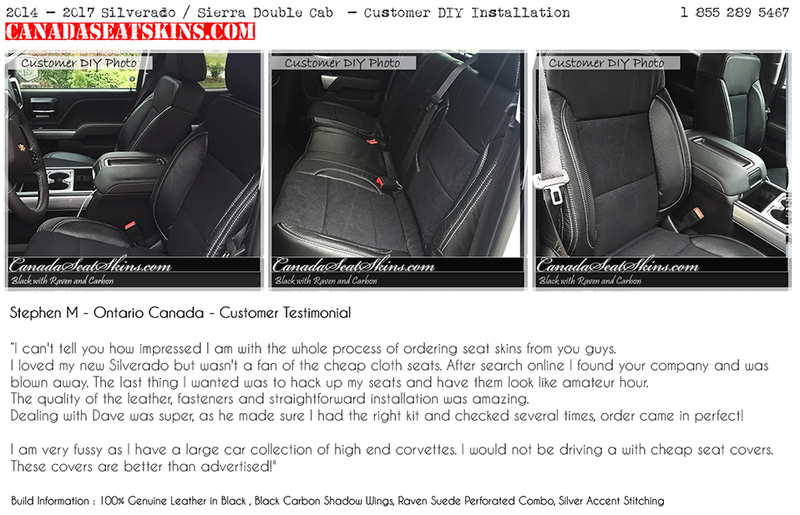 Call 1 855 289 5467 for assistance or to place your order by telephone. 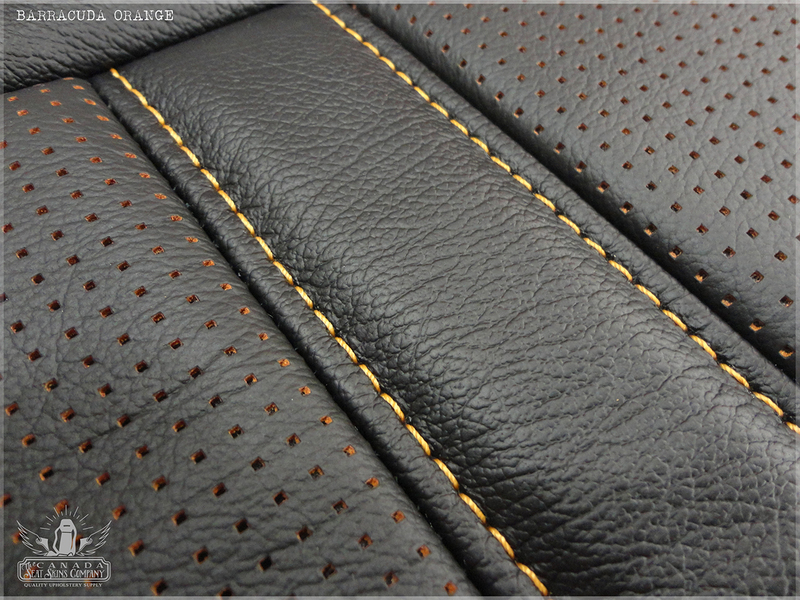 Please note that all of our upholstery packages are custom build to order based on your selections and as such are non returnable. 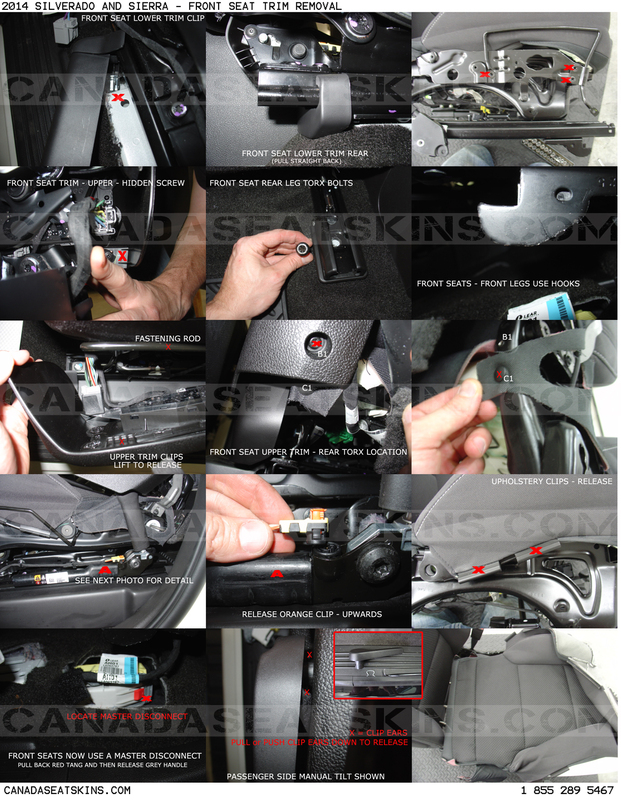 A comprehensive 3 year, 36000 mile manufacturers warranty covers any defects in workmanship. 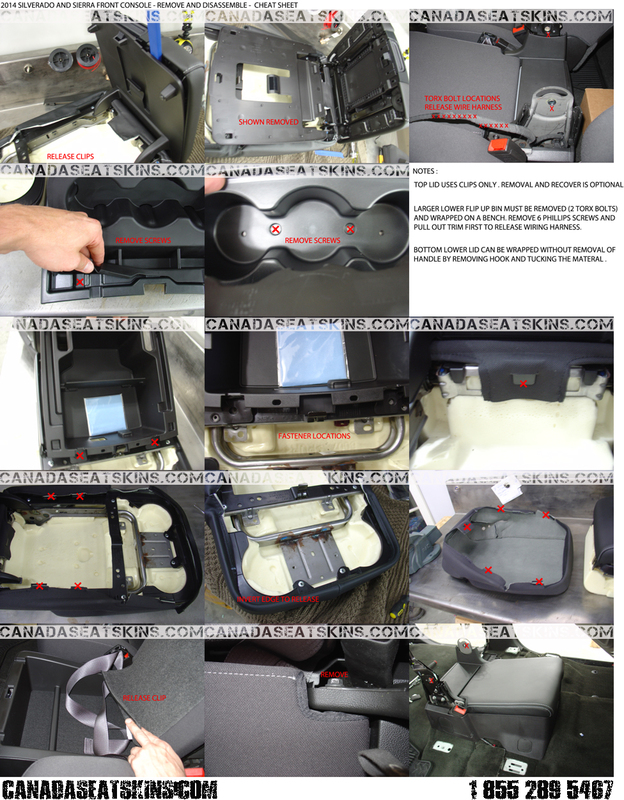 Warranty registration and care instructions are included in the box.